Please plan to attend the Washington State Charters Conference in April! Join charter school educators, administrators and families from around the state in SeaTac for an evening reception on Friday, April 27th and/or the full-day conference on Saturday, April 28th. More information can be found at the bottom of this newsletter or by clicking the link HERE. On May 17th, the WA State Supreme Court will hear oral arguments in the ongoing case about the charter law. 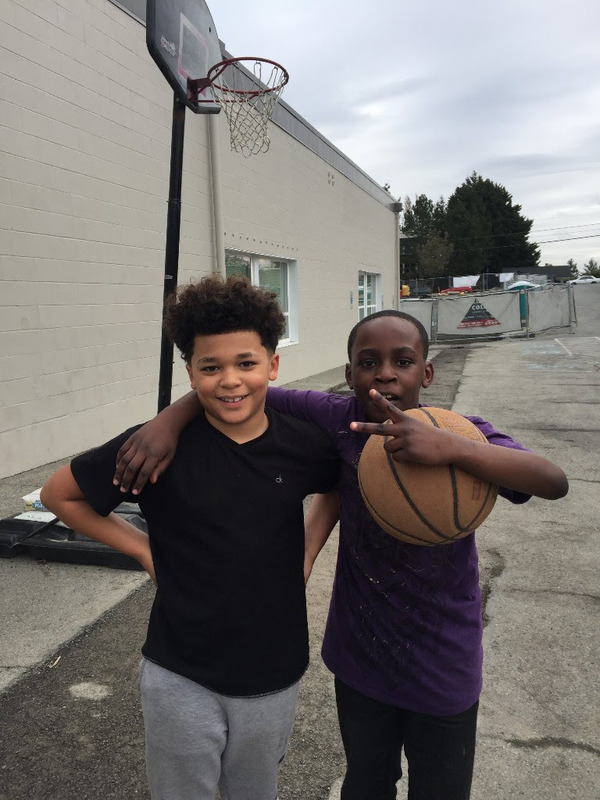 On the morning of May 17th, Summit students and families will have the opportunity to head to Olympia with hundreds of other charter school families and supporters for a rally and earning day. Last February, the King County Superior Court upheld the charter law on all counts. Despite the strong ruling, charter school opponents decided to appeal the decision straight to the state Supreme Court. We remain confident in the law and are excited for the opportunity to come together as a sector to rally for continued educational opportunities for our students. The state Supreme Court’s decision will come at some point further down the line. We promise to keep you updated throughout the process. We hope that you will join us on May 17th! We will send more specific information in next week’s newsletter. Our first high school dance will be April 27th from 7-10 PM at the Alki Beach Bathhouse. The theme is NEON; we have a great DJ, decorations, and awesome food! Please encourage your student to join us and bring a friend from another school if they want! Please fill out this survey if you would like to support our ninth graders by chaperoning that evening. We are incredibly thankful for all of your work in making Atlas the warm and welcoming community we have become! We need Parent volunteers on Tuesday, Thursday and Friday. Please let us know if you have available time, even 30 minutes would be so helpful! Contact Ms. A via email HERE or by phone at 253-987-1535 with your availability. Happy Spring Class of 2024 Families! Things in the 6th grade pod are picking up positive momentum. This week students started to own their spaces by competing to keep common areas clear, and they are going above and beyond. As of the writing of this newsletter, we have increased the number of students completely on track (All projects in, all Cognitive Scores at or above 70%, and all Power Focus Areas on track) from 34% to 47%! We need your help in reaching our goal of 75% of 6th graders being completely On Track this week. Please check your student’s platform for overdue projects and reach out to their mentors for questions on how best to help your child. Sleep hygiene: -we will be working on helping students make better decisions about getting enough sleep (8 to 9 hours nightly). We are proud of the progress. Thank you for your continued support. The test is a Performance Task, built to help them practice for the SBAC performance task. Students who need some extra practice before the test have Friday Project Time available to them and have worked with me to identify whether they need the extra help. Students are working this week to complete their 3rd Checkpoint: Biography of an Emperor and beginning their 4th Checkpoint: Roman Accomplishments. With the Final Product due at the end of next week, please encourage students to stay current with their checkpoints and continually check their platform for feedback. Next week students will be starting their new project on Climate Change. Students will understand that climate change is having devastating effects across the globe, and that large-scale, creative solutions may be needed to prevent the effects from getting worse. In this project, students will learn about the effects and causes of climate change, model how climate change happens, research possible ways to stop climate change, and test one of those solutions. For the final product, students will present and discuss the findings of their research and experiments. This week, in 6th grade English, students are completing their essays for the final draft. We will be moving into SBAC prep in the form of writing sessions to prepare students for prompt writing. Ensure your child is on time and in attendance every single day through the last day of school. Tell your student to attend Office Hours on Wednesday to revise a project and receive a higher grade. We know colleges will look at our students’ cumulative GPAs, so we need to ensure every student ends their freshman year with a 2.5 or higher, on the path to college acceptance. The dance will be a safe, supervised social time for students. It’s an excellent option for our kids on a Friday night! We still need a few more parent volunteers. Please sign up here to support us by chaperoning or providing refreshments: Parent Volunteer Sign Up. We have begun our final unit in Math I covering Statistics. This week students applied mathematical reasoning to creating and analyzing histograms, and next week we will continue that work with an emphasis on gathering and interpreting data. The power focus area content assessment for Rigid Motions will be due next Tuesday, April 24. This week we have been finishing up old project or working to get ahead on content assessments or additionals. Next week we will begin our World War 1 unit where students will explore the causes, events, and effects of World War I. This project focuses primarily on the effects of war on the lives of soldiers and how they responded through art. This week, most students took the Structure of DNA content assessment (due Wednesday, April 14). Students are presenting the completed Scientific Advances project at the beginning of the week of April 23. We will also focus on the RESULTS section of our Bioremediation project during class time. On track students only have two focus areas left for the school year, but are highly encouraged to tackle the additional focus areas for the highest grade possible. Support packets are available from Ms Zelaya. This week students will be performing Romeo and Juliet in class and should begin to work on their multimedia project, which is due May 4th. Students have a variety of project options to choose from, including: parody video, Romeo and Juliet song and video, newspaper, character blog, children’s book, and compare and contrast PowerPoint with West Side Story. 6th and 9th grade yogis are working on opening their hips, and playing with the pose flying pigeon prep. 6th grade artists are finishing their skills lab, and creating high contrast designs and imagery for high contrast painting beginning next week. 9th grade artists are taking their self portrait collage to the next level, but blowing up a small area and creating new compositions from their collage. They will then enlarge and paint these new compositions beginning next week. Spanish 1- This week we are continuing to build our vocabulary, practicing colors and seasons (las estaciones), learning new adjectives, and using the verbs llevar (to wear) and preferir (to prefer) to talk about clothes and fashion preferences. For example, “Yo llevo una camisa roja (I am wearing a red shirt)” and “Yo prefiero los pantalones verdes por qué son muy bonitos (I prefer the green pants because they are very nice).” Important dates: May 2nd- Irregular yo verbs C.A. is due and May 9/10- Reading Assessment. Spanish 2- This week we are working on writing the draft of the script we will use to present a cooking demonstration. We are learning new vocabulary for the different types of food (comida), drinks (bebidas), and verbs such as pelar (to peel), picar (to chop), and cortar (to cut). We are learning how to conjugate these verbs to to use as informal commands. For example, “¡Pica la cebolla! (chop the onion)” and “¡Pela el aguacate! (peel the avocado)”. Important dates: April 30th- Listening Assessment and May 2nd-Informal Command C.A. is due. 6th and 9th grade have been working on strengthening their arms, abs, legs and cardiovascular health during their 10 minute full-body circuits. Most circuits consist of push-ups, burpees, reverse-lunges and planks. These movements ensure that your students maximize their workout by hitting the most muscle groups as possible and keep their heart pumping for 10 mins. Please encourage and challenge your students to have continuous movement during each of their circuits. I’m trying to make every circuit different and fun, therefore I’m looking for jump ropes to be donated if possible. Thanks! Come to connect with others, learn more about the charter schools system, family advocacy, and policy updates. All parents/guardians are invited to attend! Registration is $30.00, with scholarships for those who need them. As the largest Washington state charter public school convening of the year, the Washington Charter Schools Association Conference brings together national, regional and local experts and is a great opportunity for charter school leaders, teachers, board members, parents and advocates to connect, learn and be inspired. This year’s theme is Onward: Advancing Excellence and Equity. The conference will take place in SeaTac, WA on April 27-28, 2018.